The Jersey rockers tap Dave Hause of the Loved Ones to star in a gut-wrenching video chronicling a messy split. 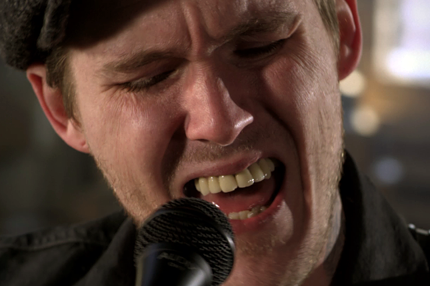 New Jersey rockers Gaslight Anthem have made a video for “Bring It On,” a stand-out track from last year’s stellar American Slang – and SPIN has the premiere of it here. After Gaslight perform a string of European dates starting next month, Brian Fallon willfocus on his side project the Horrible Crowes, who will release their debut album this September. Check back next week for details about the project – plus an update on Gaslight’s future plans.